Swarkestone Nursery is an independent garden centre and nursery, owned and operated by the Jackson Family from Kings Newton. The Jacksons have been growing plants and vegetables for generations. 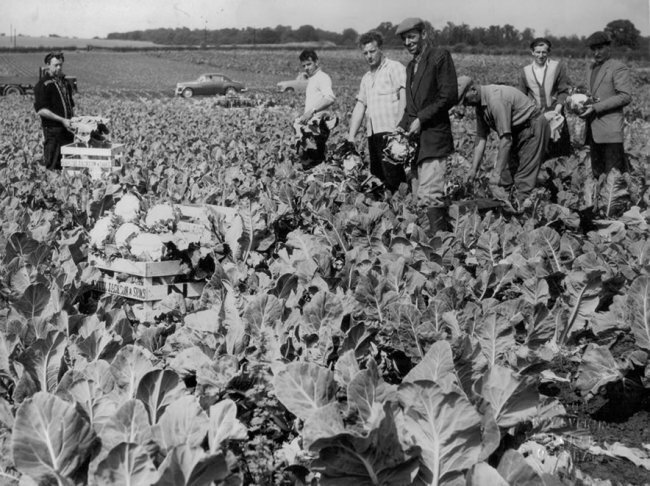 Throughout the 20th century the family grew and supplied vegetables to local wholesale markets in Derby, Nottingham and Leicester. Eventually the Jacksons were delivering as far as Covent Garden in London, Leeds and then to supermarkets such as Morrisons. In the 1970’s, siblings John and Helen Jackson studied at Pershore College of Horticulture where they both developed a keen interest in ornamental plants. During the 1980’s the family began to grow and sell bedding plants and trees as a side line. The large glasshouse at Swarkestone was erected in 1986; its purpose to grow vegetable plants which were then planted out in 300 acres of fertile River Trent floodplain land at Melbourne, Swarkestone and Weston-On-Trent. By the 1990’s sales of ornamental plants were flying and by 1999 vegetable production stopped, Swarkestone Nursery the garden centre was opened all year round in 2000. During the late 2000’s, eldest daughter Laura Jackson followed in her father’s footsteps and studied horticulture at Pershore College. The garden centre is now owned solely by John Jackson, supported by his wife Suzanne (office manager), eldest daughter Laura (general manager), son Joseph (head of maintenance) and youngest daughter Pippa (Santa’s Christmas helper!). Finally, last but by no means least, the family is joined by a fantastic workforce without whom, none of this would be possible. There's a lot of exciting developments due to take place over the coming years, keep your eyes peeled!